The human brain is a pretty amazing thing. It can fill in the blanks when needed information is missing, and if something doesn’t seem quite right the brain does everything it can to hold onto what it perceives as reality. The Centraal Museum in Utrecht, Netherlands is playing with the brain’s powers of perception with an installation called Brain Trip. The installation has the museum visitor put on a brainwave-reading headband. 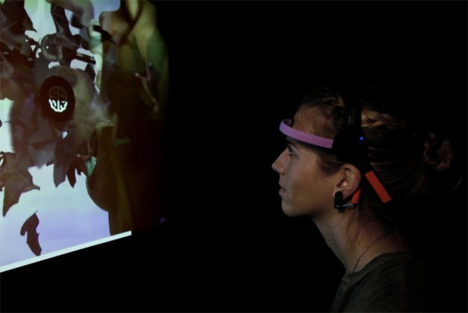 The headband uses electroencephalography (EEG) to determine how focused or relaxed the viewer is. As the viewer watches a screen, he or she is taken from the world of reality into a world of incredible surrealism. The more focused the viewer is, the more their experience remains anchored in reality. As he or she relaxes, the scenes become more and more bizarre. The process is tiring, and eventually the brain gets too tired to carry on with the extreme surrealism no matter how relaxed the viewer is. 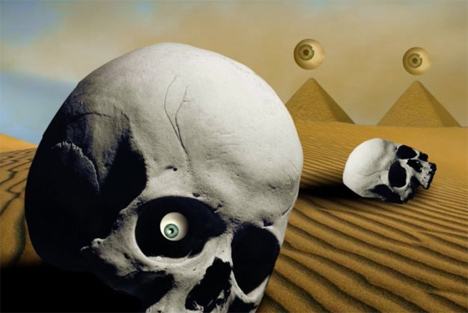 At that point, the display informs the viewer that it is time to surrender to the surreal world. After the experience, viewers can see a report of their brain activity during the display and find out how much of the time their brain was focused and how much of the time it spent relaxed.